PLEASE CLICK THE BUTTON AT RIGHT TO RE-ENROLL YOUR STUDENT TODAY! We develop potential, spark successes, and transform lives. South Side Academy serves students in kindergarten through 8th grades. We provided a diverse learning environment with opportunities for students to excel. Rather than a one size fits all model, South Side's curriculum program is designed to offer students with different needs and learning styles an exceptional academic program. Learn more or join us. The mission of South Side Academy is to provide a safe, supportive environment in which to develop each student’s ability to reach their highest potential academically, achieve good health habits, and gain a positive understanding of social responsibility with self, others, and the community now, and in the future. South Side Academy will involve parents and the community to enhance its useful benefits to all students. At South Side Academy you'll find a safe and secure learning environment, small class sizes, student centered instruction with free-tutoring, technology-focused classrooms, after-school programs, plus physical education and art education classes. We offer free breakfast and lunch, transportation to eligible students, host family programs and festivals, along with hosting more than 25 community partners and programs. School Hours: 7:30 a.m. - 2:30 p.m.
Ready for more information or to enroll someone in your family? We make it easy. 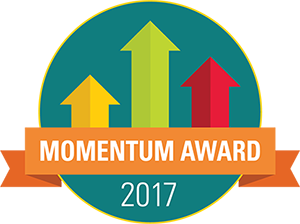 South Side Academy was recognized by the Ohio Department of Education with the Momentum Award for 2017, as a school that exceeds student growth expectations. Copyright 2018 South Side Academy. All rights reserved. South Side Academy is powered by the Educational Empowerment Group.